If you're anything like me, you're in denial that October is nearly over and, in essence, 2013 isn't far from ending as well. Wasn't it just April? And what happened to June? August? There must have been something of note in August... how is it that the holidays are now just right around the corner? That not only means that there aren't that many shopping days left, it also means that in order for holiday cards to be tucked into their envelopes, sealed, stamped and ready to send out, they need to be ordered soon. In the past I found myself procrastinating and ordering our cards at the last minute, something that would end up consistently stressful and displeasing. But then I realized that life would be much easier if I didn't waste time or effort looking at various sites and less-then-stellar designs when I could just go with the amazing selection and quality that I've come to love and appreciate from Tiny Prints. Even though I've seen (and sent) a variety of other holiday cards over the years, there is just something about Tiny Prints that has remained unmatched when it comes to style and overall impression. From traditional colors and embellishments to merry and bright colors that take on a modern feel, there is something about the way that that each one grabs your attention and celebrates the season in its own way. New for 2013, there are even more styles to choose from – Contemporary, Classic, Vintage, Full bleed photos, All That Glitters, Bold Expressions, Simply Chic, Woodland Wonder and The New Tradition... it almost pains me to try to choose a single favorite! Not to mention that along with the incredible designs, Tiny Prints has added new trim options for 2013 as well. Their square and rounded edges are back (I've always been a sucker for the rounded edges!) but now there are also bracket, ticket and scallop trim options as well. How do I chooooooose, Tiny Prints? You're making this really difficult! 1. 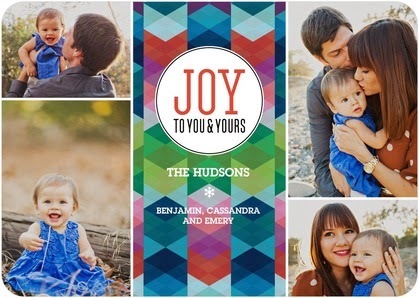 Joyous Heart: White Flat Holiday Photo Cards. There's something about the simplicity of the single "joy" and the cute polka-dot back that I love about this card (as well as the rounded corners, of course). 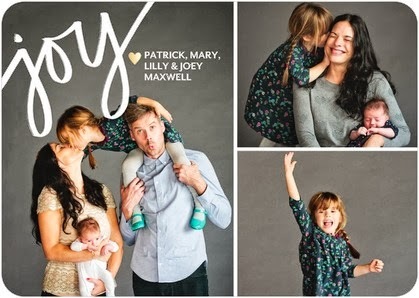 Plus, the ability to showcase three photos takes away the pressure of having one single awesome shot of the entire family! 2. 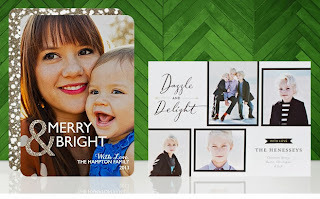 May They Sparkle Red Lantern Flat Holiday Photo Cards. This card mixes the simplicity that I like with the eye-catching background pattern that I adore. Plus, who doesn't want to share a little sparkle with their friends and family? 3. 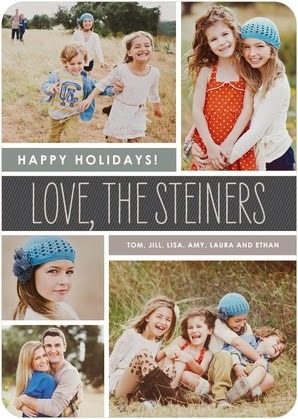 Distinctly Happy Ore Flat Holiday Photo Cards. 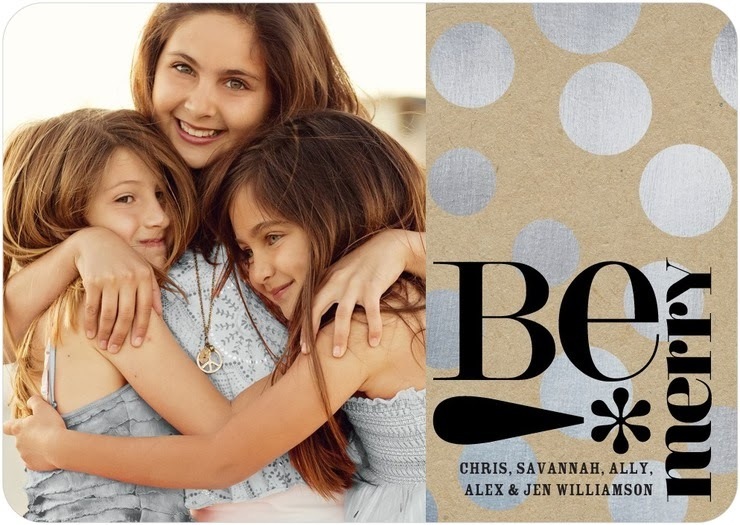 This card has lots of clean lines that I like, while it also gives me even more options to include photos... when are there ever too many pictures of my kids all in one place? 4. Geometric Joy: Gibraltar Flat Holiday Photo Cards. I have a feeling that my husband wouldn't be a big fan of this card, but there's something about the pattern and the saturation of the colors that catches my eye and makes me think that it would stand out from others in a display! 5. Cherished Days Reef Flat Holiday Photo Cards. How cute is this? I love the lighthearted whimsy and the way that it almost looks as though the border and letters were drawn on by hand. Once the decision-making process is complete, I love knowing that whichever card I pick is going to turn out great simply because it will be from Tiny Prints. They haven't let me down once in the past and I have no doubt that they'll continue to impress me in the future! With exclusive designs from the nation's top designers, easy card personalization, a powerful preview engine, top-notch customer service, wonderful paper quality, matching address labels and envelope liners, and more, it's no wonder Tiny Prints' designs have been lauded by numerous television networks, publications, celebrities and more. And don't even get me started on their stylish photo gifts that are great for so many people on your list! One lucky person will win a gift code for $50 off of their total order at Tiny Prints (including free shipping)! A big thank you to Tiny Prints for providing a gift certificate for me as well as for one lucky giveaway winner. The opinions shared are my own and honest and if you really need to see more, click here to see how I roll. My favorite is Winter Blessings. I love how you can choose a trim as well. I love The Happiest Highlights. I love teh Gleeful Glitter! I like Merry Happy Moments. I like Sending Warm Wishes. I like the wonder overlay. I like the gleeful glitter. My favorite is Christmas Crest. I like the cozy calligraphy. My favourite is Adored Ornaments! Love it!!! I like the Merry Scribbles Flat Holiday Photo Cards. Thanks for the chance to win! I can see my grandchildren in Crystal sequins. swaying garland card is lovely! 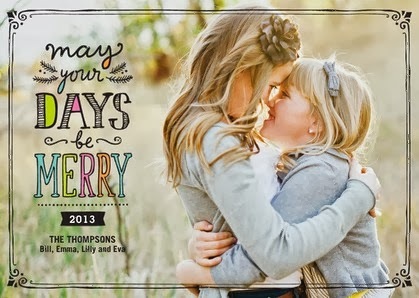 I love the Season to Shine Holiday cards! I like the Glitzy Greeting card. I love the Merry Bokeh or the Sprinkled with Joy. I love the border of the Pinecone print. i like dazzle and delight card, really cute. My favorite is Christmas Glory. I like the Wreath Peek card. My favorite is the Dazzle and Delight card. I love the Crystal Sequins in red design. My favorite is Merriest Little Snow. I really like the Circling Joys. I like the Sprinkled With Joy card. I like the Amazing Adventures card! I like the Sketched scene. My favorite is Merry Scribbles. Really like the "Sketched Scene"
I'm in love with the christmas ones!!! I just love CRYSTAL SEQUINS: BRIGHT RED ORNAMENT CARDS! 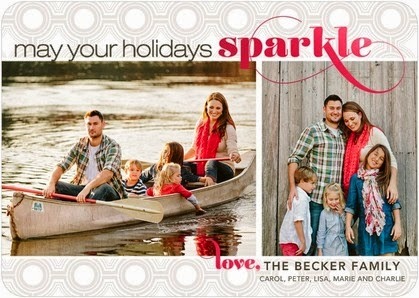 I really like the Crystal Sequins holiday card! My favorite card is the CAPTIVATING CRYSTALS: BLACKFOLDED HOLIDAY GREETING CARDS. I love the Geometric Joy card, such bright colors! The Glitzy Giggles was super cute. I love the glitter!! I love the Swaying Garland! They are all great but i really like the pinecone print! Golden Holiday is my favorite! I like the Crafty Snowflakes. I like the Merry and Mod vintage card. I really like the Yule Rules : Seafoam Ornament Cards. i love the CHALK CRYSTALS: BLACKTRI-FOLD HOLIDAY CARDS. My favorite is the Merry Scribbles card.